Multi Style Yoga School offers residential yoga teacher training in India that are 1 to 8 weeks long ranging from 50 to 500 hours certifications. Our courses are designed following the rules and regulations as outlined by Yoga Alliance. Yoga teacher training at Multi Style Yoga School includes asanas, pranayama, chanting, mantra, meditation and other traditional yoga techniques as well as a sound foundation in philosophy, anatomy and physiology of yoga. Teaching will include principles of demonstration, observation, assisting and correcting, instruction, teaching styles, the student’s process of learning and business aspects of teaching yoga. We aim to release our students from our training with a sound knowledge of all subjects and applications of its principles to yoga practice (benefits, contraindications, healthy movement patterns etc.) in order to bring forth inspired yoga teachers that in turn will promote a better tomorrow. 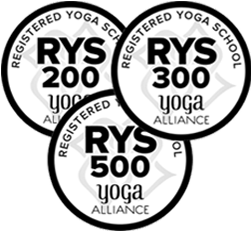 Multi Style Yoga School - Rishikesh is registered with Yoga Alliance as Rys 200 & Rys 300 (together it’s equivalent to Rys 500) and it offers affordable 50, 100, 200, 300 and 500 hour residential yoga teacher training courses in India with internationally recognized yoga certifications. These intensive teacher training courses, designed for beginners to advanced level yoga practitioners, are based on Hatha, Ashtanga, Vinyasa Flow, Kundalini and Sivananda Yoga. Most of these yoga styles are rooted in classic Indian tradition. Our students get an opportunity to explore various styles of yoga and to choose a yoga style that best suits their needs according to their fitness level, personality and career goals for practicing yoga. Multi Style Yoga School is managed by experienced and skilled yoga teachers, instructors and a caring and loving support team. Most of our yoga teachers and instructors are registered with Yoga Alliance. Our lead teacher, Yogi Sidharth (E-RYT® 500, YACEP®) has been teaching various styles of yoga for over 7 years at some of the best yoga teacher training schools in Rishikesh. 200 hour residential yoga teacher training in India, registered with Yoga Alliance, at Multi Style Yoga School - Rishikesh . 300 hour residential yoga teacher training in India, registered with Yoga Alliance, at Multi Style Yoga School - Rishikesh . 500 hour residential yoga teacher training in India, registered with Yoga Alliance, at Multi Style Yoga School - Rishikesh . Multi Style Yoga School has expertise in multi-style yoga teacher training in India for 200 hours, 300 hours and 500 hours in Ashtanga, Hatha, Kundalini and Sivananda Yoga at Rishikesh in India. Our passion for yoga is supreme and the multi-style yoga teacher training courses on offer have been designed after extensive research and actual yoga practice and experimentation. The residential yoga teacher training courses at Multi Style Yoga School are intensive so as to enable the yoga practitioner to acquire a deep understanding of yoga. As a yoga teacher aspirant, the experience at Multi Style Yoga School will improve your yoga skills which will give you the confidence to teach yoga in various styles. Short term yoga teacher training retreats in India offered by Multi Style Yoga School is part of 200 hour yoga teacher training course designed for people who want to become a yoga instructor, or for someone who wants to attend an intensive yoga course for health purpose. Please note that even though we provide 50 or 100 hour certificates, one needs to complete minimum 200 hour training to register with Yoga Alliance. Yoga Alliance is the internationally recognized certification for yoga schools and instructors. It is the overarching accreditation system for instruction and is based on stringent approval of a curriculum. Yoga Alliance is a non-profit organization and acts as a seal of quality control for all yoga teachers and teacher training providers. Graduating from a Yoga Alliance registered school will give you the credentials needed to establish yourself as a yoga teacher with the support of international recognition as you join the global teaching community. 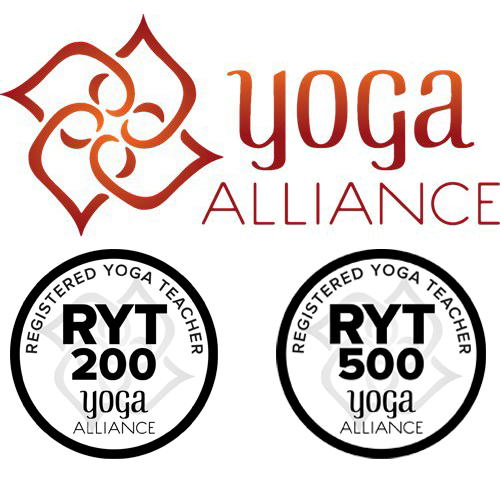 Multi Style Yoga School - Rishikesh is registered with Yoga Alliance USA, the largest independent non-profit association representing yoga teachers and schools across the world. Studying at an institute that comes with this type of yoga certification will enable you to register, as a teacher, with Yoga Alliance which opens to you a supportive network that aims to help yoga professionals find a little more sattva, or balance, in their lives. Yoga Alliance acts as a ‘seal of quality’ ensuring that every school and teacher register with them lives up to the expected high standards. Yoga Alliance certification provides assurance and confidence to consumers, employers and the health professions that all teachers registered with the Yoga Alliance are appropriately qualified and have the knowledge, competence and skills to perform their teaching role. Members are bound by a Code of Ethical Conduct which stresses both the adherence to the traditional yoga principles as written in the yamas and niyamas and the requirement to follow all local government and national laws that pertain to the individual teachers of yoga and business in which they are part of. The more important question to ask yourself is WHY NOT? Where else can you live and breathe yoga? Where better to study than at the source? In Rishikesh you will be able to immerse yourself in the yogic culture, staying in an Ashram that is happily situated right at the heart of it all. Studying yoga in Rishikesh will give you the opportunity to learn from, and amongst, people whose lives revolve around yoga. Even the Beatles found their share of enlightenment here! The enjoyment they found in this inspiring place contributed to their most productive period. 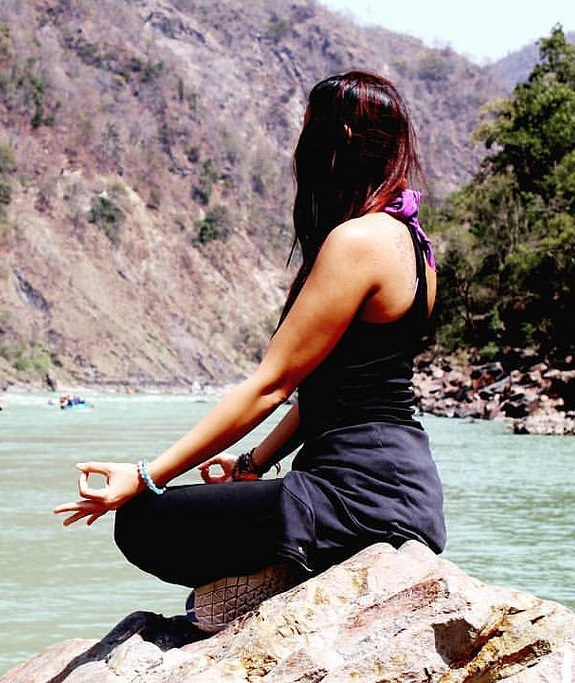 Colloquially dubbed India’s center for Yoga, Rishikesh is a hub for learning and thought— it is the ideal atmosphere for yoga teacher training. The standards for yoga training here are remarkably high and the environment is conducive for study– it is a nurturing environment for learning yoga. Studying yoga in India is analogous to studying French cuisine in France—it is the source. For many students of yoga, exposure has been filtered through a western lens. While studying yoga in India, you are encouraged to explore outside the limitations of the west: you will be exposed to an essence, the foundation and the roots. Rishikesh, however, is not only the cradle of yoga but a great location to get familiar with the Hindu faith. The holy river Ganges flows through the heart of the town and her banks are dotted with a multitude of temples, each dedicated to a different deity. The positive aura created by the joint striving for personal and holistic growth by both yoga aspirants and spiritual visitors surrounds you here in the vibrant and colorful community of Rishikesh. Q. What is included in the yoga teacher training fee? Yoga teacher training fee includes course material, private/single room accommodation, 3 vegetarian meals per day and outdoor activities on Sundays. Yoga mat, linens, blankets etc. will be provided by us. Taxi fee i.e. $ 15 USD from Dehradun airport and $ 65 USD from New Delhi airport is not included. Q. How do I do the registration for yoga teacher training course at Multi Style Yoga School? To book your place at Multi Style Yoga School fill out the online application form for the yoga course of your choice. To be registered you will also have to pay the 20% non-refundable fee deposit. The remaining fee will need to be paid on arrival at the yoga school. Fee once paid will not be refunded. Q. What are the eligibility criteria for joining yoga teacher training courses? Everyone is welcome to join our multi-style yoga teacher training courses whether you have knowledge or practice of yoga or not. You do not require any previous experience of yoga to apply to the multi-style 50, 100, 200 & 500 hour yoga teacher training courses. However, for the 300 hour yoga teacher training courses you will need to have a 200 hour certification from a yoga school registered with Yoga Alliance. Q. Are the yoga teacher training courses internationally certified? Yes, Multi Style Yoga School is a registered yoga school with Yoga Alliance (USA) and we provide internationally recognized yoga teacher training certifications in India. All our multi-style yoga teacher training participants, who have successfully completed the course, can register with Yoga Alliance®. Q. What kind of visa do yoga learners need? Q. How do I reach Rishikesh? For International travellers the closest International Airport is IGI, New Delhi which is approximately 250 km from Rishikesh. Closest Domestic Airport is Dehradun which is approximately 25 km from Rishikesh You can arrange a domestic flight from New Delhi to Dehradun airport though your travel agent. The flight duration is 30 - 45 Minutes. We provide taxi pickup and drop services from both New Delhi and Dehradun Airports to our location in Rishikesh at an additional cost. Q. What safety precautions do I need to follow? ● Take precautionary measures and dress appropriately as per local culture. ● Collect all information about the place where you are booked for your yoga retreats or yoga teacher training course. ● Have on hand the Mobile/WhatsApp number and email and of the yoga school. ● It is advisable to arrange for a pick-up with the yoga school you are booked into as that is safer or book only through reliable travel agents. The 20% advance fee paid for booking a seat for multi-style yoga teacher training courses and yoga retreats will not be refunded. However, you can shift the date of your yoga course and schedule it for another time period within one year. If you wish to reschedule you have to inform us in advance. Residential, affordable and intensive 50, 100, 200, 300, 500 hour yoga teacher training & retreats in India with Yoga Alliance certification at Multi Style Yoga School - Rishikesh.